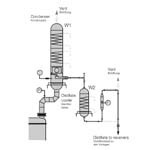 Click here for more information on distillation overheads for reactor systems. 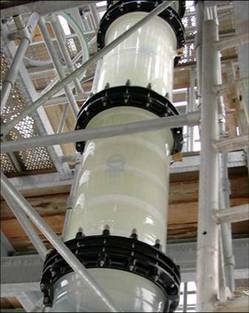 DDPS has long history and experience in designing column systems to meet individual requirements. 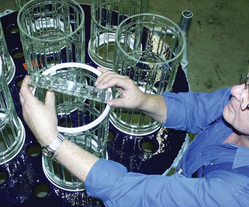 Our columns are manufactured to handle the toughest applications. In addition to the standard assemblies, DDPS can also fabricate special designs for customer’s specific process requirements, including special conical, eccentric, stepped and angled column sections. 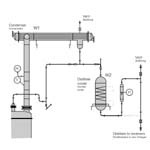 Clamps, gaskets, split flanges and bolting are all supplied with a complete column system. 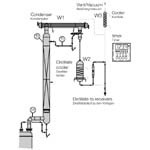 Borosilicate glass columns have been used successfully for many years in the field of distillation operations mainly for the benefits of its anti-corrosive and transparent material of construction. Glass distillation columns are normally filled with packing materials made of borosilicate glass, but other packing materials can also be supplied. 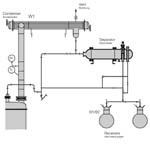 Cooling arrangements for the distillate can use either shell and tube or coil type heat exchangers. Durapack - a structured glass packing with outstanding separation properties, ideal for processes that require no metal. 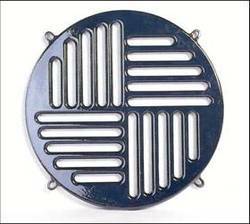 Core-Tray support - provides a solution for the problem of metal-free support trays with a large free cross-section of 120%. Liquid feeds based on the same Core-Tray design principle are also available. 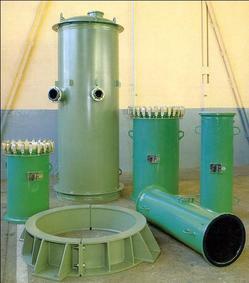 Click here for more information on reactor overheads. 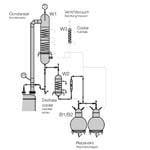 Distillation top with phase separator for azeotrope mixture. Optional interconnection of phases.